You can use software to edit the film today, unlike years ago when you had to actually cut and splice sections of the film. It is much easier to edit using software. You will look at the film and put it together in the sequence that you like. After the film has been edited, the director will take a look at the film and approve what they like. Personally, I use Adobe Premiere. This is what most Hollywood and Indie filmmakers use, as it has a bevy of features. 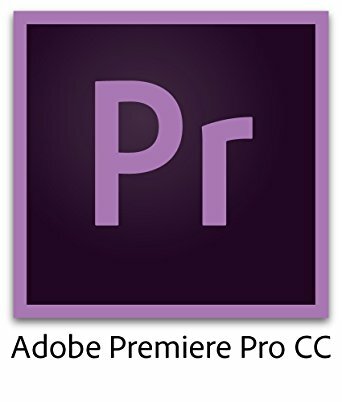 In my next movie and certainly in my wedding projects or commercial work, I'll be exclusively be using Premiere. It's a monthly subscription to use Premiere so only get it when you're already into post. However, I do suggest shooting some short films or commerical stuff first to get experience. Premiere is not a plug and play solution. You can subscribe to Premiere HERE. Other editing choices popular among filmmakers: Sony Vegas and Final Cut Pro. Finally, I suggest getting this book on color correction. It has helped me add that final touch to making a great film. Or you can always hire one - Upwork is a great resource. The final product that is approved by the director is often called the "director's cut." After the director is finished with the film and satisfied, it goes to the producer. The producer may feel that certain scenes are not necessary and cut them out. There may be some scenes that are objectionable and may be also cut out of the film by the producer. This often happens in the case of trying to get a rating. If a film is excessively violent or has strong sexual content, it may be rated an NC 17 by the MPAA, the rating association. An NC 17 rating is the kiss of death for a film as many theaters will not play such films. The film "Henry: Portrait Of A Serial Killer" is an example of an independent film that was shot on a very low budget and was given an NC 17 rating. The executive producer of the film fought the Motion Picture Association over the rating. The film never got the R rating that would bring it into theaters as it was considered to be too violent. As a result, the film never made much money at the box office. But because of the publicity generated by the fight over the rating, the film did well for the producers when it came out on video and DVD. The company, MPI (Maljack Productions Incorporated) is located just outside of Chicago and received much acclaim for this film. The film should also have a score and, if possible, a soundtrack. A score is different than a soundtrack. The score is the music that is played that you don't even notice when you are watching the film. If you watch a film, any film, you will notice that it is accompanied by certain music during non speaking scenes. This is essential in a film. The soundtrack consists of popular songs that are part of the film and relate somehow to the film. A score is very subtle and something that you will not notice. The soundtrack, however, is one that you will notice and may purchase in the store. Remember the soundtrack to "Goodfellas?" It consisted of some of the most popular songs ever written that spanned three generations. You probably know some of the songs if you have watched the film. But chances are that you have not noticed the score to the film "Blue Lagoon," which consisted mostly of classical light music. If you are going to have a score, this is the time to put it in the film. If you are going to have a popular song in the film, you are going to have to get what is called a synchronization license from those who own the song. A sync license can be obtained from the artist or producer (usually the producer) who owns the song. You will have to pay for the amount of time that you use the song in the film. This goes by seconds. If you have more than one song in the film, you have to get permission from the other publisher as well. And you have to pay the same price for all the songs in the film per second. This is called the rule of "favored nations." It is an unwritten rule in the business and although you can pay one producer more and not adhere to favored nations, you will have a problem ever getting a license again if you do not pay everyone the same amount of money. You may get one person who holds out for more money and causes everyone to be paid the same. There are two ways you can get around having to pay royalties on the soundtrack and score. The first is to use songs that are in the public domain. Any songs that were written before 1923 are all in the public domain, but not necessarily the performance. If the performance was recorded before 1923, it is in the public domain. If the performance was recorded after that date, it may be under copyright. You can check with the United States Copyright Office to find out if a version of a song is in the public domain. If it is, you can use it in your film without having to pay royalties. There was a problem with some songs and other intellectual property from the 1940s to 1963 in which some property owners did not renew copyright on music and it fell into the public domain. This is the reason some films, songs and even television programs from that period are all part of the public domain. If you write your own score or pay someone who is in music school to write a score, you can save quite a bit of money. You can also write your own music for the film and save on royalties. The film "Waiting For Guffman" featured songs in it that were written specifically for the film. Many films hire songwriters to write songs or scores specifically for the film and buy the rights, rather than have to pay royalties for songs or music that has already been published.